Kids sign for the BSA program. Practice coordinators advertise the Friday MYSA soccer clinics for the 1-2, 3-4, 5-6 graders. We will do clinics for 7-8th graders only if a 7-8th grade coach or parent engages to organize them and if there are available MYSA coaches at e.g. 4:30 pm Mon-Thu. Coaches may also consider inviting kids from other teams to their MYSA practices. Q: Can my team practice on a full field? A: Unlikely. We have many teams in the program and usually teams share fields during practices on PQ and Grove and sometimes on Town Field. Some teams end up having a full team if they practice on Mondays or the 4:30 pm timeslots. It just depends on how many teams plan to practice at the same time on the same field. Q: How are conflicts resolved when more than two teams select to practice on a given field at the same time? A: We have tried several approaches and have not yet found a way that pleases everyone. Coaches are given the opportunity to select any fields that are open on the schedule. They should not delete practice times selected by other teams. Should not select fields reserved for MYSA practices unless they want to practice with a MSYA coach. Should not select fields reserved for MYSA clinics. The BSA president will resolve conflicts if/as they arise. If coaches find that another team is scheduled to practice together with their team on the same field, they should have in mind that we don’t have enough fields for each team to practice on a full field. Q: How many practices can my team have? A: As many as the coaches can do. Typically travel teams choose to have two practices and town teams choose to have one practice per week. Teams who schedule additional practices would be asked to schedule them outside popular times. Coaches can encourage their players to sign up for the Friday MYSA Clinics. 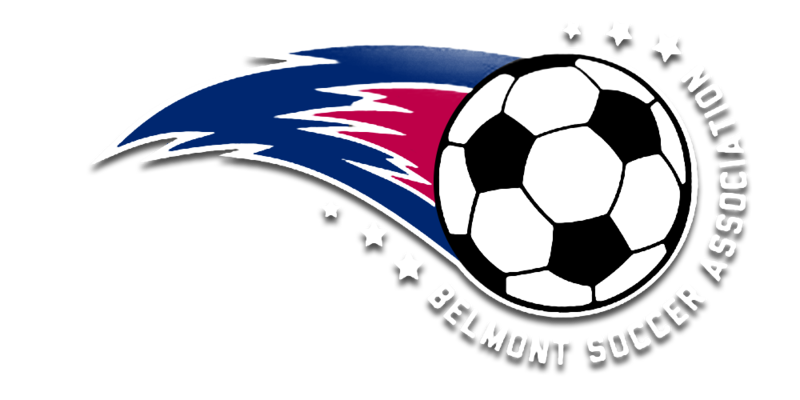 When the Belmont High School construction starts, teams may need to reduce the number of practices and encourage their players to use the Friday MYSA clinics in place of a second practice. Q: How do MYSA practices differ from other practices? A: MYSA coaches always arrive early and setup cones on the fields. Parent coaches work the with MYSA coaches in different ways. Some discuss with the MYSA coaches the areas their teams struggle with, e.g. building an attack in their half of the field, scoring goals, defending, etc. and the MYSA coaches recommend session plans and drills to address these and run the practice with the help of the parent coaches. Others ask for help in organizing certain drills. As MYSA coaches usually work with two teams at the same time, parent coaches should expect to run part of the practice by themselves. MYSA coaches will email the parent coaches before the start of the season to introduce themselves and suggest time to talk with them over the phone to discuss practice approaches. Q: Can MYSA coaches lead practices by themselves? A: No. They don’t have emergency info and cannot respond to kids injuries. They can only work with a team if a CORI’ed parent coach or a CORI’ed parent is present. Q: How do the Friday MYSA Clinics differ from other practices? A: MYSA clinics are run by a MYSA coach and teach kids advanced soccer skills, better than the training they would receive at most private soccer clubs. Kids should wear cleats and shin guards and bring a ball and water bottle for each clinic. A parent or an adult responsible for each kid should be present on the sidelines at each clinic. Parents could decide to carpool and one adult could be responsible for several kids. We would no longer expect a CORI’ed BSA parent to track the kids participating in each clinic. Kids who show up for a clinic without an adult or water bottle would be unable to participate (kids’ safety is a priority for BSA). Kids who show up without a ball may be unable to participate in some drills. CORI’ed BSA coaches or parents would need to help when more than 16 kids sign up for a clinic, or we may need to turn kids away if the numbers of kids or parent coaches fluctuate from week to week. Q: Will BSA continue to offer goalie clinics? A: No. The Friday MYSA Clinics will teach both soccer and goalie skills to all kids. Q: When do MYSA Practices start? A: This spring, travel and town league team MYSA practices will start in week 2, the week after their first games on April 6th. They will have MYSA practices during the April vacation. K-2 teams MYSA practices will start after the April vacation on April 22, the week before their first game.